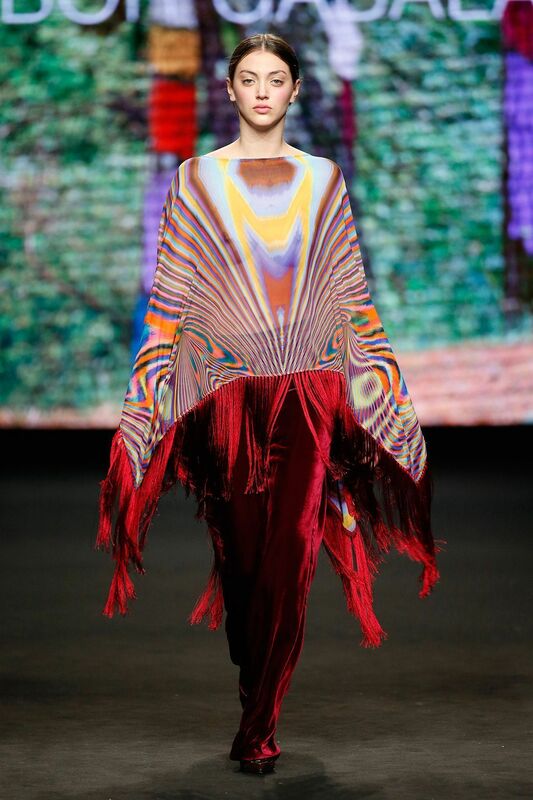 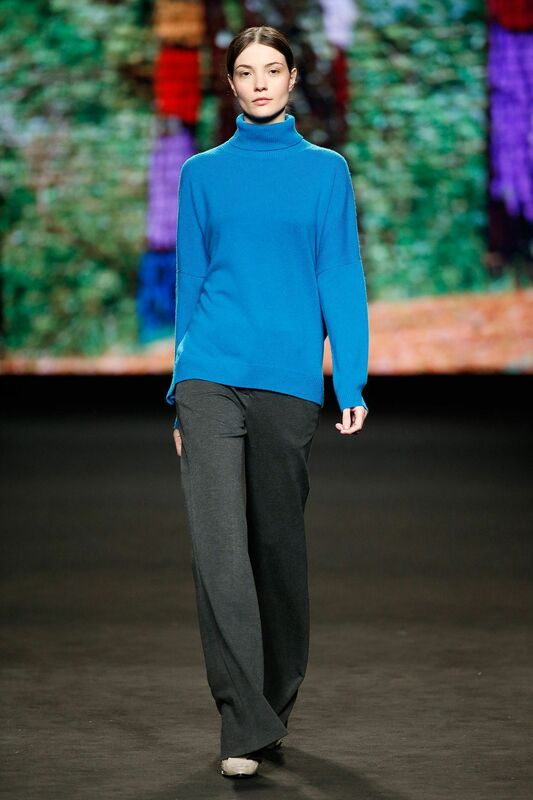 With this atmosphere of a winter forest lit brightly colored, MAITE MUÑOZ puts on the catwalk a collection which, as the image that wraps it up, arises from the contrast between extremes.The knitting, real soul of the brand, is a common thread, pattern the pace of the silhouettes and presents the cadences of the color, ranging in crescendo to a rainbow in the manner of LEBOR GABALA, that is recognized in the forest of Oma for the joy of its colors.Between the two proposals, LEBOR GABALA bets for its outstanding figures in rustic key and features knitted silhouettes in total look: generous sweaters in thick tweed pure wool, Shetland style, English cardigans, garments with friezes of eights, or intarsias in two-color , worn with knitted pants renewing silhouette with audacity. 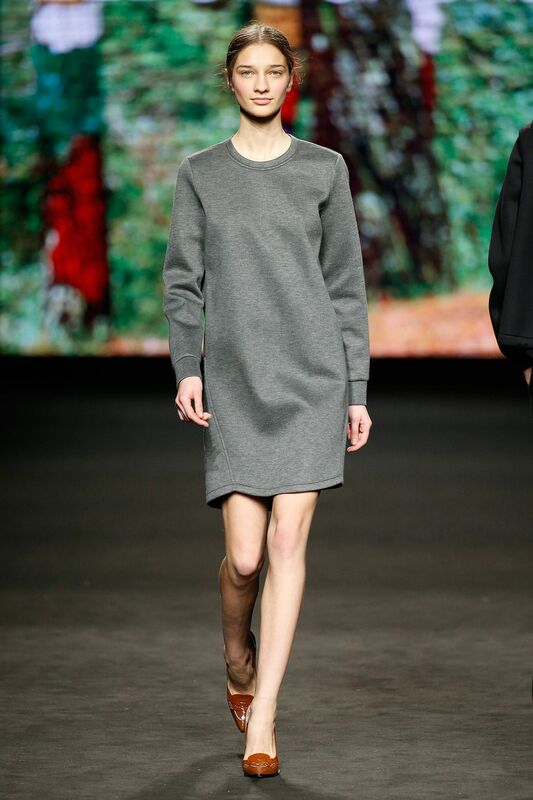 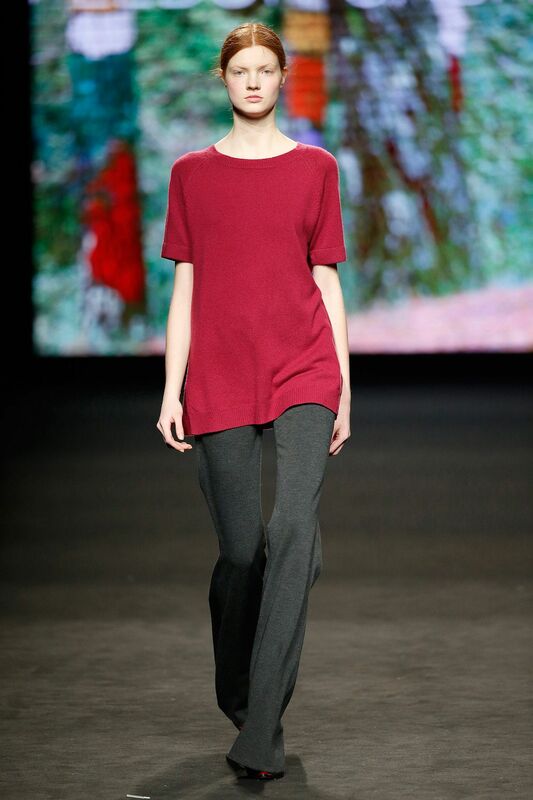 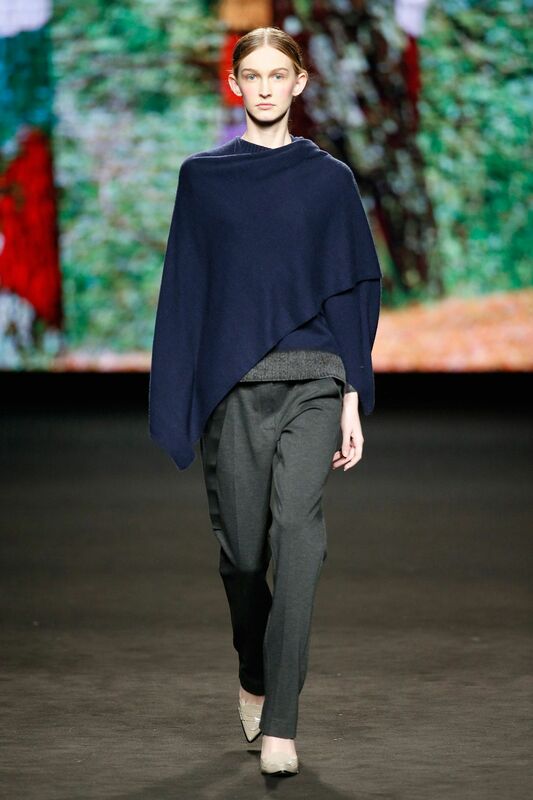 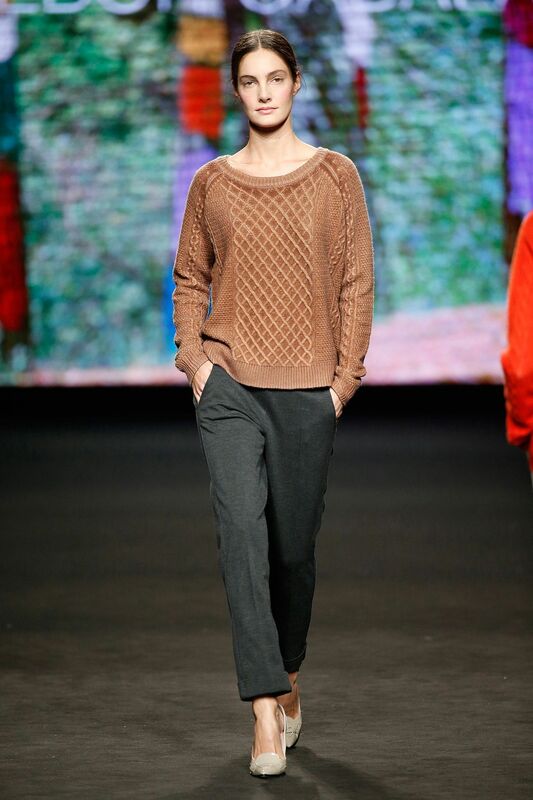 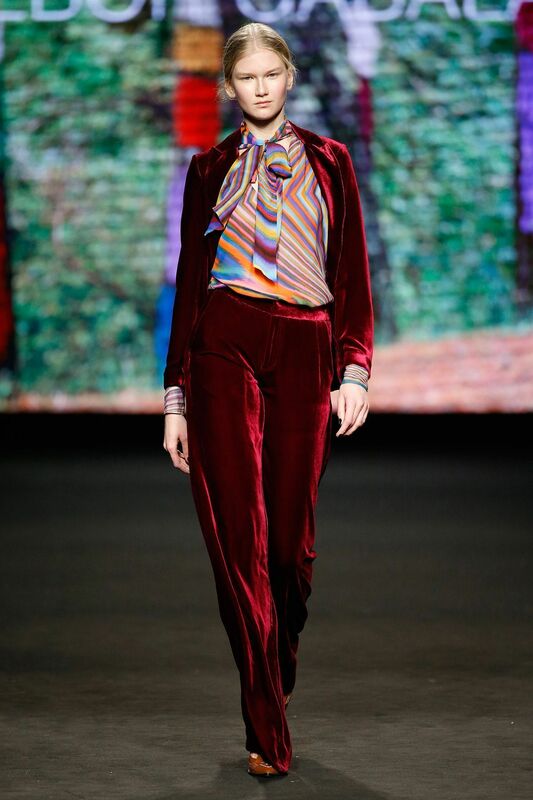 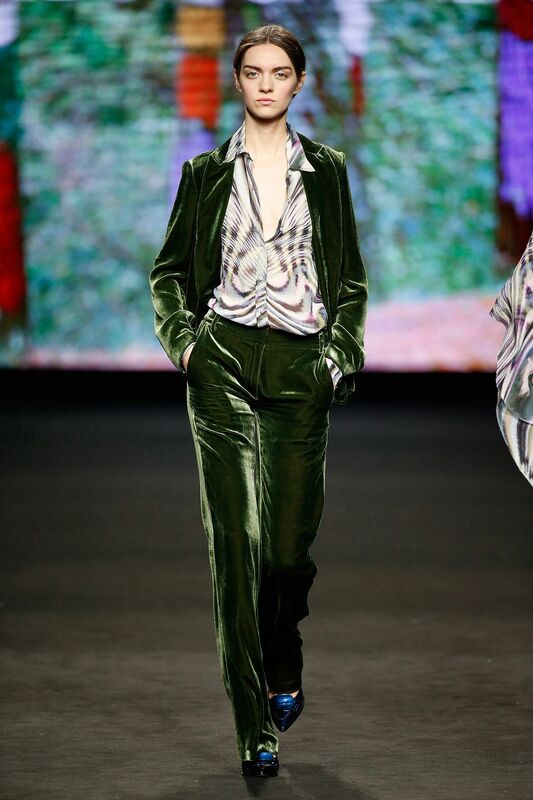 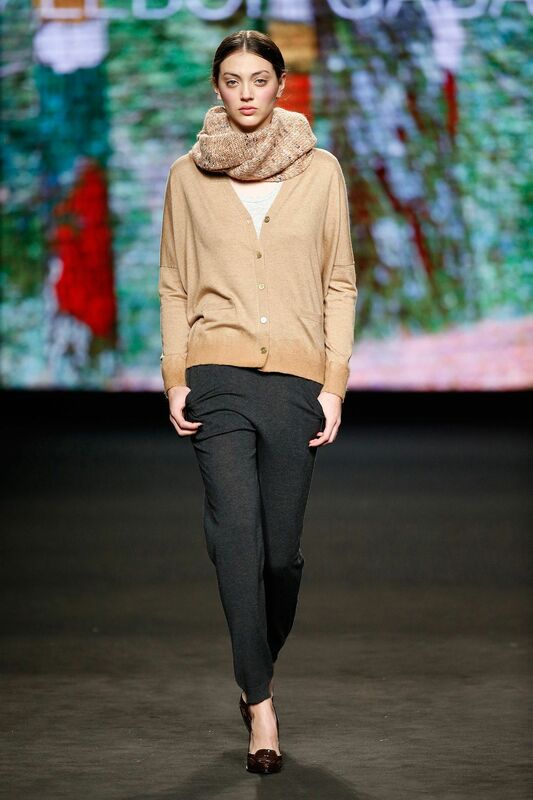 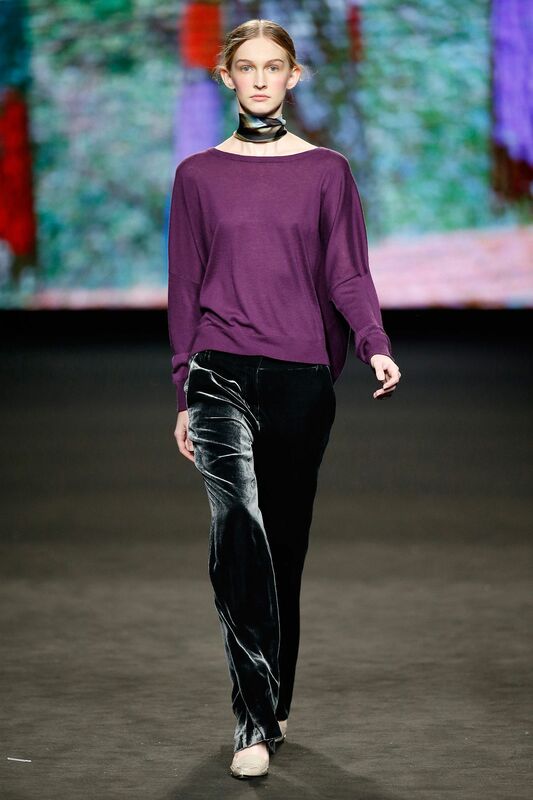 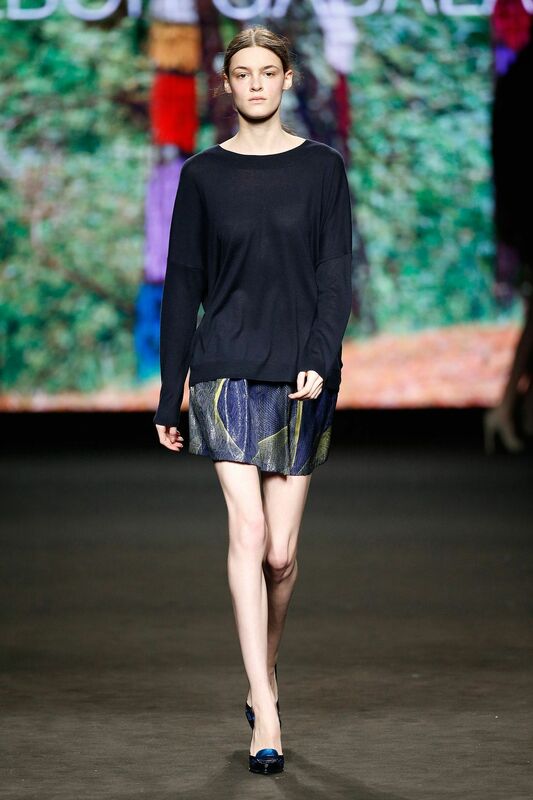 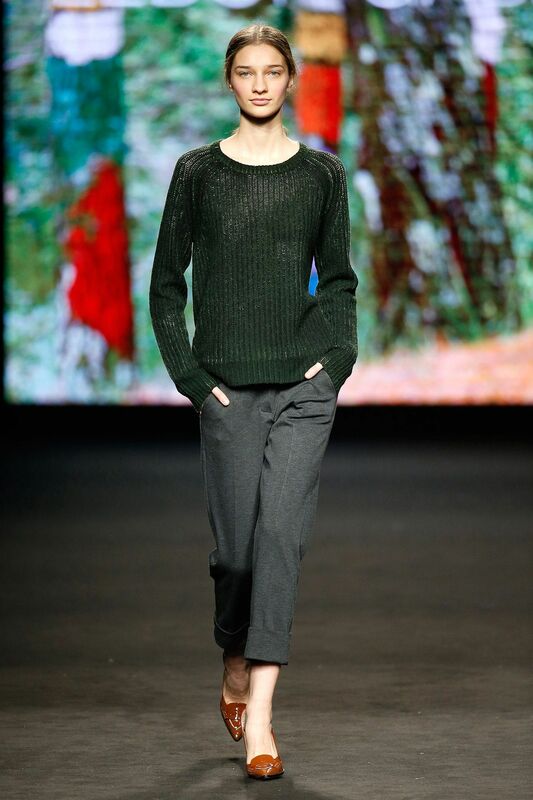 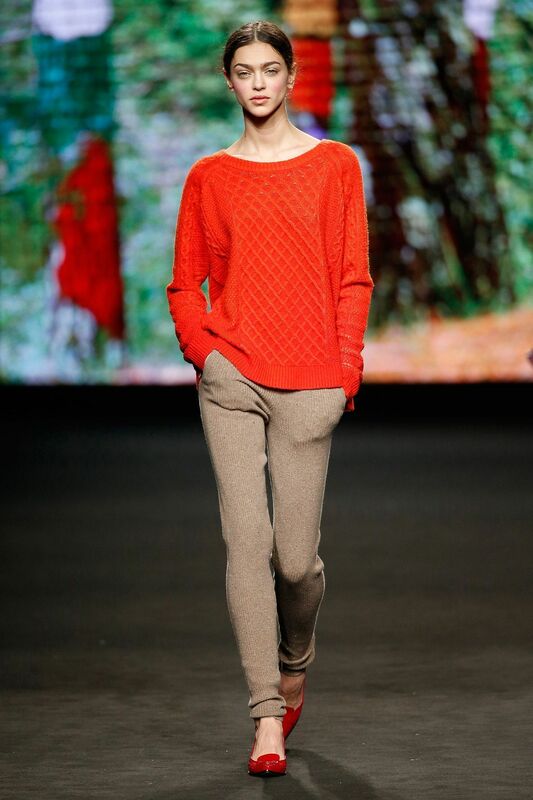 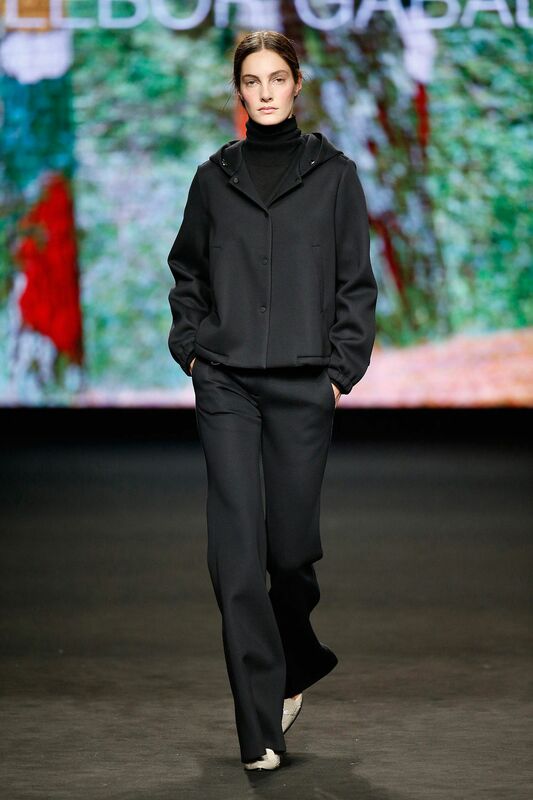 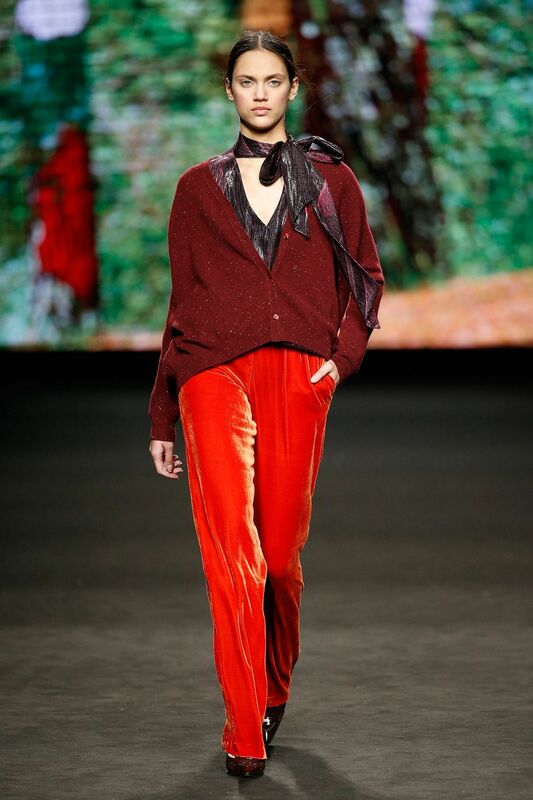 For the thinnest knitwear, the appreciated mixtures of the brand by means of cashmere and silk, adopted a strong and flattering palette of green forest, violet and turquoise and are served on the catwalk with a nod to the male style: tailor pants in gray, the color that runs through the entire collection and joins it. 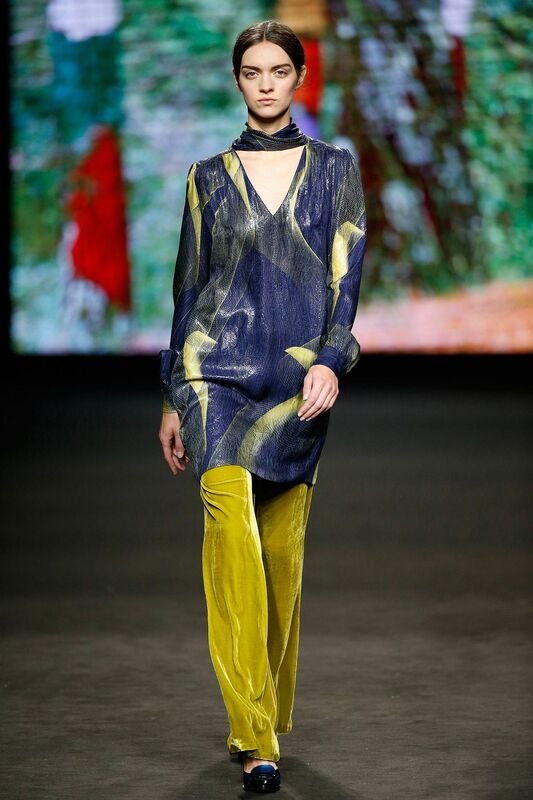 ** In the Forest of Oma decorated by the basque artist Agustín Ibarrola there is an area of trees painted with the colors of the rainbow. 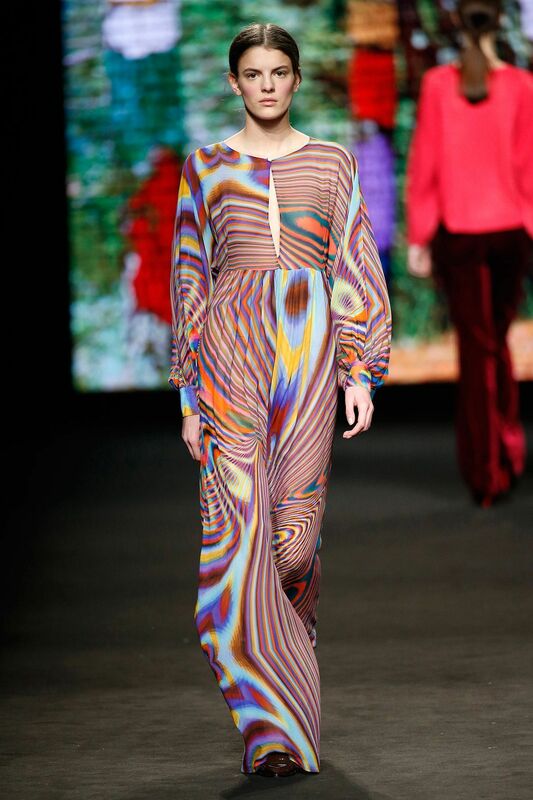 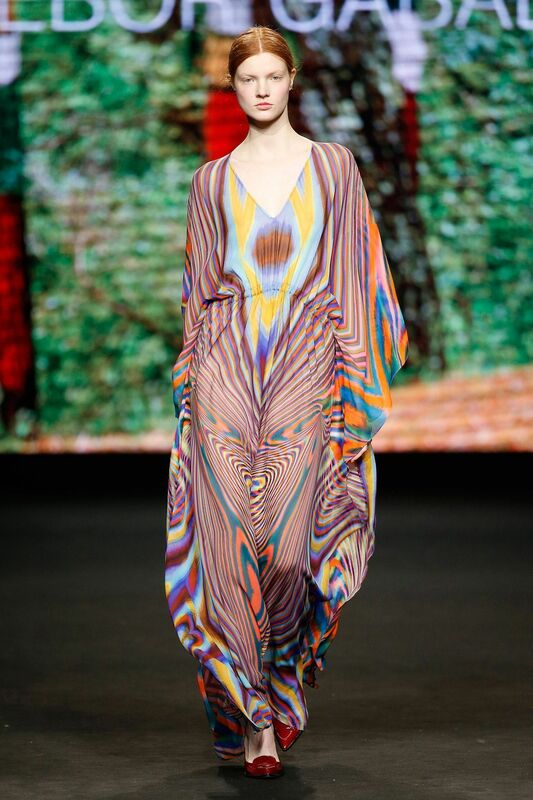 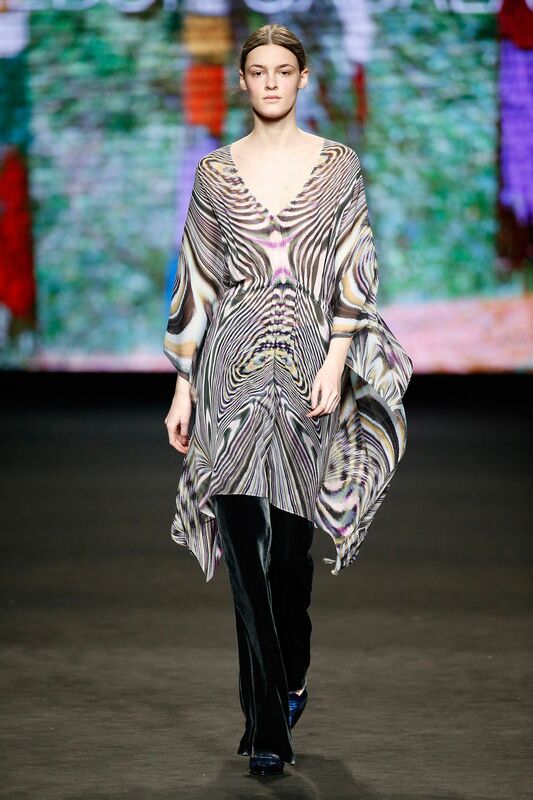 It is the Rainbow of Naiel, which the painter and basque sculptor dedicated to its grandson.Its image serves as background for the presentation of the new collection of LEBOR GABALA for the next Autumn15-Winter16.